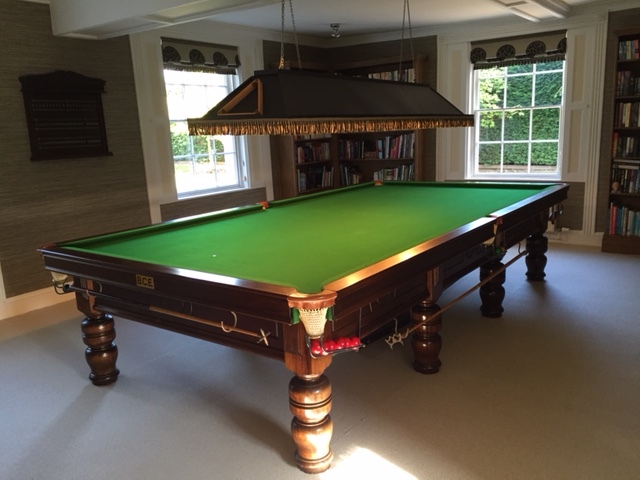 The “Cadillac” of snooker tables, this table is very good shape and is one of the best, if not the best out there. and look of the table. course, makes for the best reaction when the balls hit the rails. *Please note that this is a used table and might have some slight scratches. This is normal. If you are looking for a perfect table, we also sell new ones. **Upon receiving your table, if you see blemishes on certain parts of the table, you must understand that it is very likely that this is the inside of the table and of course, does not show once the table is set up. (Some people do not understand this and assume that these blemishes are on the side of the table which is visible, this is not the case).